The fungi is called Candida auris, or C. auris for short. It’s called Auris because it was originally discovered to be living in a woman’s ear in Japan. But now, it has spread to every continent, and its rise has only been made worse by a coordinated cover-up by the CDC, hospitals and the corrupt medical industry that places its own profits over the safety of the public. 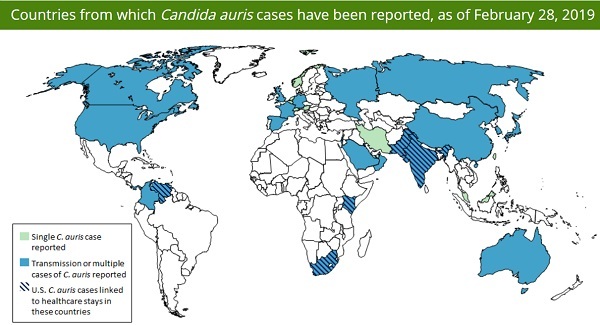 If there were a vaccine for Candida auris, these infections would be front page news across the globe, and journalists would be screaming at everyone to get injected with the vaccine. But since the medical establishment has no treatment whatsoever for this deadly pathogen, they’ve conspired to cover it up. Killing off the “good” fungi, in other words, allowed the really dangerous fungi strains to succeed like never before. And the more chemicals are sprayed on food crops, the more dangerous the pathogens become. This is all caused by human intervention via chemical agriculture — an artificial way to produce food for the masses. Azole fungicides now account for one third of global sales of fungicides, and various derivatives of azoles are heavily applied to crops every day, all over the world, including triazoles and benzimidazoles. These chemical ends up not merely in our food, but in agricultural runoff, eventually contaminating water supplies, rivers and even oceans. Over time, as these azole chemicals were repeatedly applied to food crops year after year, Candida auris developed robust immunity to these chemicals, enabling the fungus to survive on food crops due to the fact that it now had no competition, since most other fungi strains were killed by the chemicals. So crops harvested from food fields carried this fungus to food markets and grocery stores. There, consumers purchased the products and prepared them at home, touching those fruits and vegetables with their bare hands and transferring the fungal colonies to their homes, their clothing and other family members. Almost instantly, Candida aurisspread from foods to home environments, persisting in damp kitchens, dark drawers and closets, effectively colonizing humans who then carried it to other humans. From here, it was only a matter of time before C. auris found its way to hospitals, nursing homes, surgical centers and retirement centers. Today, C. auris is no doubt colonizing children in day care centers; co-workers in office environments; friends at social gatherings and family members at holiday gatherings. Those with strong immune systems are apparently able to fight off the effects of the fungus, but even if they show no symptoms, they may be carriers of the strain, infecting others who may suffer from weakened immune function. This includes infants and seniors, but can also impact those who have caught a cold or a flu, or even people who have endured an extremely strenuous workouts at the gym, placing themselves in an immunosuppressed condition for 2-3 days. “[T]hey are most lethal to people with immature or compromised immune systems, including newborns and the elderly, smokers, diabetics and people with autoimmune disorders who take steroids that suppress the body’s defenses,” the NYT explains. It is self-evidence that C. auris will also attack those who are taking antibiotics, as their own personal gut flora is wiped out by the antibiotic drugs in exactly the same way that friendly fungi are wiped out across crop fields by azole fungicide chemicals. Thus, the people who undergo surgical procedures at hospitals and are routinely given antibiotics as part of the treatment are also being kept in the very same hospital rooms where Candida auris is increasingly festering. This same genotype was, “found in 90% of ARAF isolates obtained from azole-naïve patient,” the study reports, meaning it’s a near-certain sign that these patients have been colonized by azole-resistant fungal strains. Except that it didn’t have to be that way. There has been a cover-up for years. The very medical establishment that is entrusted with keeping people safe from deadly pathogens has, itself, become both the distribution hub for spreading the disease while simultaneously colluding with the CDC to hide the truth about all this from the public. It is the hospitals that are now “fungal factories” which are spreading the disease, literally releasing superbug pathogens into the open air, contaminating entire communities with fungal spores that are stronger than any known treatment chemical known to western medicine. Importantly, the CDC is so far refusing to name the hospitals or nursing homes where these cases are being found. This means the CDC, as usual, is hiding the truth about a deadly outbreak from the public. This behavior by the CDC will obviously lead to even more people being infected by visiting the hospitals where Candida auriscolonization is already complete. But the CDC seems more interested in protecting the profits of hospitals than in protecting the public from a deadly superbug pathogen, so it looks likely that the secrecy will continue. With the CDC hiding the names of the hospitals where this deadly pathogen is spreading — and with the continued heavy application of azole-class fungicides on agricultural products across the country — it seems we’re already at stage-six pandemic that has only just begun to be fully realized. It’s as if we’re all sailing on the Titanic, and the ship is already 80% under water by the time we realize something’s wrong. This pathogen is already endemic in America. 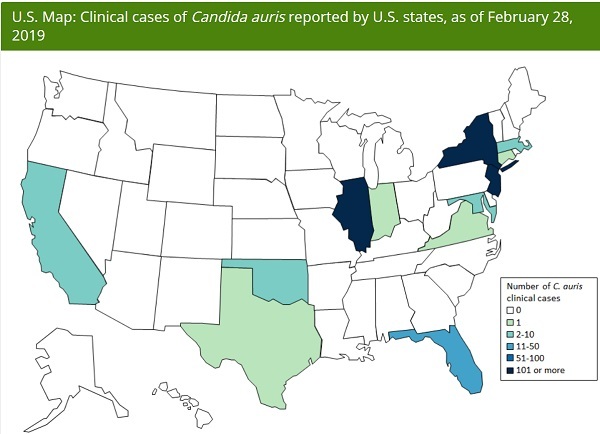 It’s likely that nearly every hospital, nursing home, public school and day care center in America is already colonized with Candida auris (or will be soon). 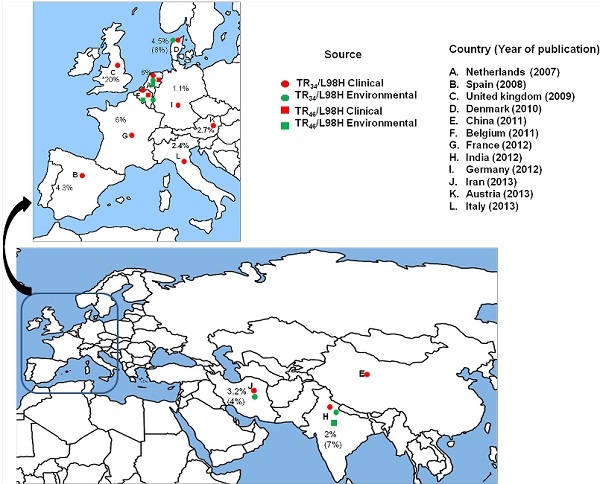 No person can visit any hospital or healthcare facility without the reasonable expectation of being exposed to this superbug fungal strain, meaning that every visit to the hospital is now a potential death sentence, especially given the 41% – 88% fatality rates that have so far been reported among azole-resistant fungal strains. With the confirmation of the Candida auris pandemic now confirmed by the New York Times, the last five years have confirmed that my original warning was correct. Agricultural chemicals are killing humanity; and we’ve only just begun to understand the vectors of emerging pathogens that have now turned virtually the entire global health care system into a suicide mission from the point of view of patients.